The beloved bandleader Louis Prima was born here, just off North Claiborne Avenue, in 1910. At the time, Sicilians like the Primas and other white immigrants lived alongside creoles of color and African-Americans in Treme. As a child, Prima absorbed the music and performance styles of his black neighbors: spasm bands on street corners, dance bands playing on the backs of trucks to advertise their gigs, spirituals emanating from churches, and brass bands marching in and out of St. Louis Cemetery No. 2. He came to idolize Louis Armstrong, who was ten years Prima’s senior and grew up about a mile away. Prima led his first band at Jesuit High School and, at 19, landed a gig in the orchestra at the Saenger Theater. 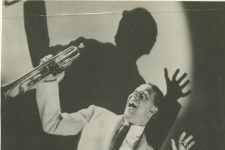 In addition to playing trumpet, Prima, a natural showman, started acting in comedy skits. 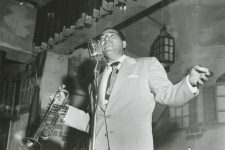 To get laughs on some gigs he hired a black six-year-old from Treme named Earl Palmer to tug on his jacket between songs and say “Daddy, Mama wants you on the telephone.” Prima feigned embarrassment, slipped him some money, and stage-whispered “Here, kid, take this and beat it.” (Palmer went on to anchor the J&M Studio house band and become one of the most influential drummers in popular music). 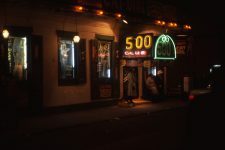 One night in 1934, bandleader Guy Lombardo heard Prima’s horn from outside of a club on Bourbon Street and recruited him to play in New York. 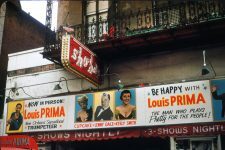 Prima became a sensation at the Famous Door on 52nd Street (not to be confused with the Famous Door that later opened on Bourbon). From there he moved to Hollywood, and spent the rest of the decade playing to packed theaters across the country. 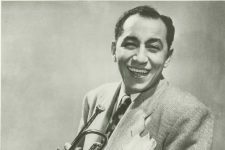 He recorded and composed along the way—his tune “Sing, Sing, Sing,” popularized by Benny Goodman, became a jazz standard. 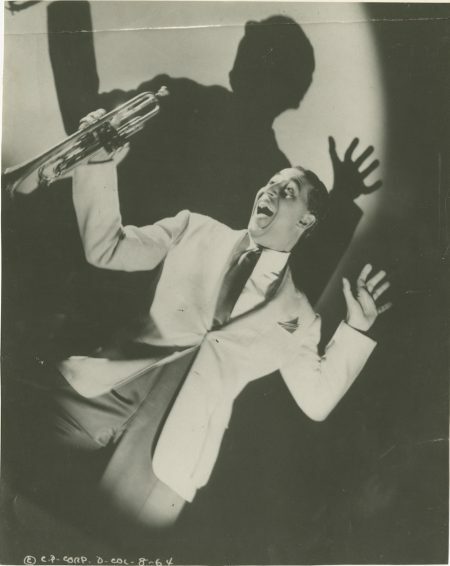 When the market for big bands declined after World War II, Prima adapted his act and found new collaborators. The first was Keely Smith, a young singer who became Prima’s fourth wife–they worked on fresh material at the Sho-Bar in the French Quarter, among other places. The second, saxophonist Sam Butera, came thanks to Louis’ brother Leon. 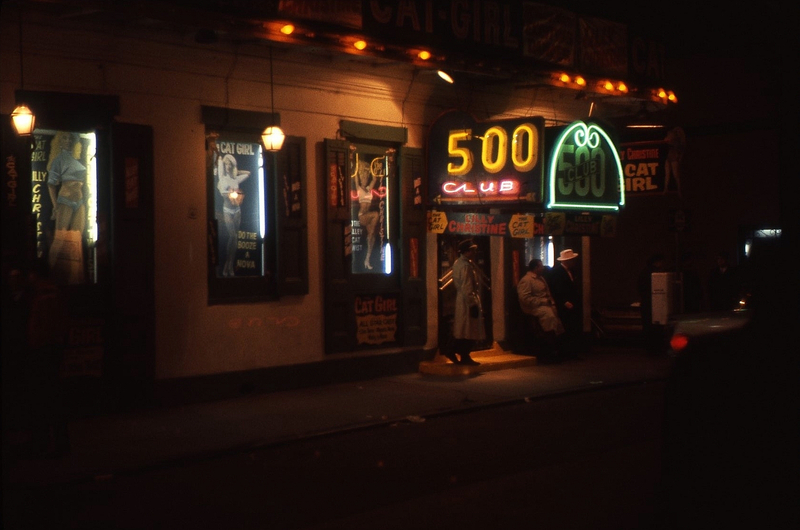 He booked Butera at his club on Bourbon Street, where he’d been playing behind strippers since he was 14. Prima tapped him to lead a band—the Witnesses—to back him in a residency at a Las Vegas casino. From 1959, after making it big in Las Vegas, Louis Prima with Keely Smith and Sam Butera perform "Just A Gigolo - I Ain't Got Nobody." 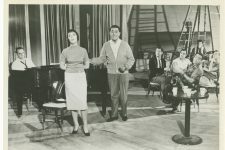 Prima and Smith perform "That Old Black Magic" in 1959. Video posted by Douglas Macgregor. 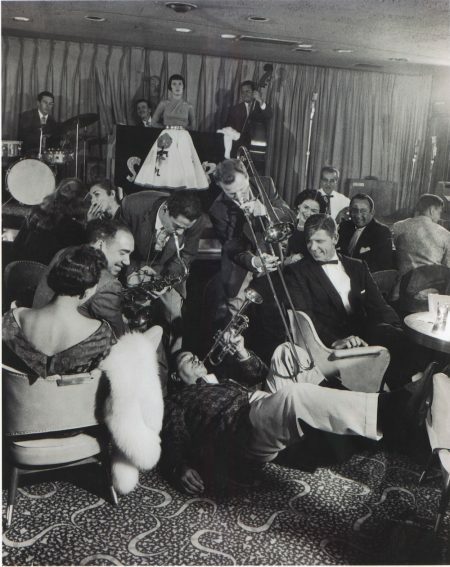 Sam Butera plays his slow-burning version of "Night Train" while Prima wilds out and Smith looks on. WWOZ Tricentennial Music Moment: Sheik of Araby--the story of Prima tempting the censors at Capitol Records. 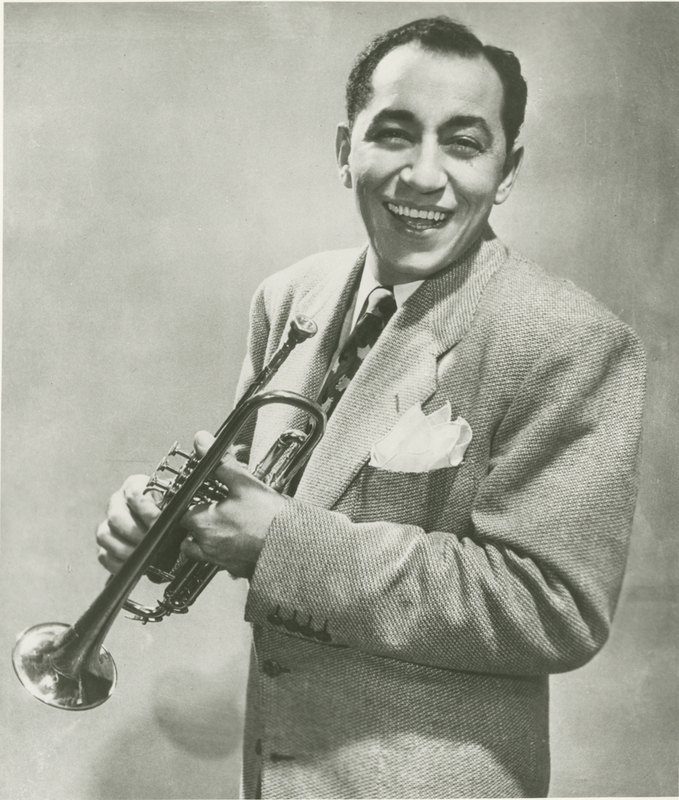 Publicity photo of Louis Prima from MCA Artist, Ltd. Courtesy of Special Collections, Hogan Jazz Archive, Tulane University. Publicity photo of Louis Prima. 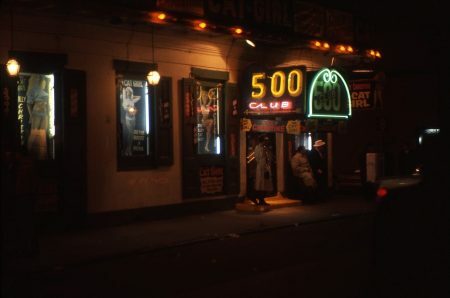 The 500 Club in December 1963. 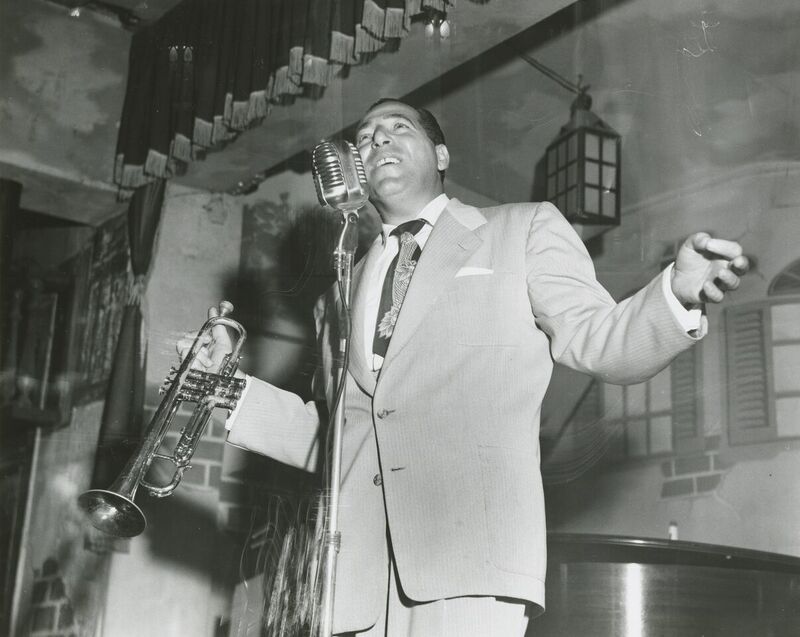 It was one of several music venues operated by Louis Prima's older brother Leon, who was also a trumpeter. Leon Prima singing at his nightclub, the 500 Club on Bourbon Street, 1950. 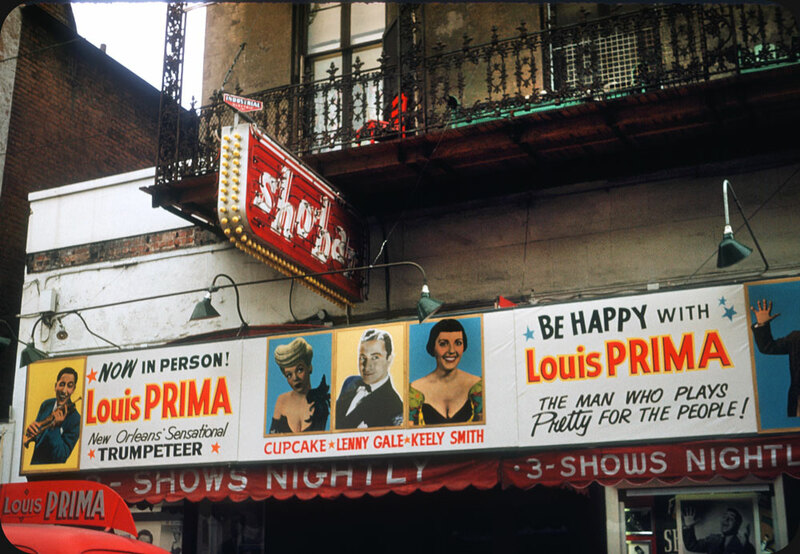 Sho Bar sign from 1953, the year before newlyweds Prima and Smith set out for Las Vegas. Lenny Gale was a comedian and Cupcake was a "risqué song stylist." 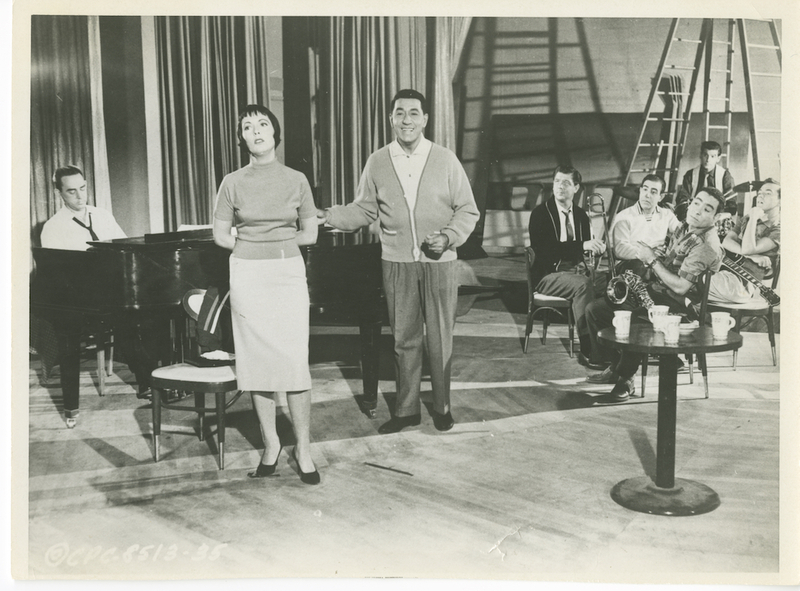 Louis Prima (center) flanked by Keely Smith (left) and Sam Butera (right, with saxophone) on a movie set. Their show in Las Vegas, shaped by Prima's and Butera's upbringings in New Orleans, was a national sensation. 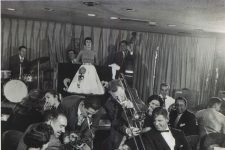 Louis Prima plays trumpet on the floor while Keely Smith watches impassively from the stage at the Sahara in Las Vegas. 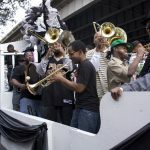 They ended each show with "When the Saints Go Marching In" and a New Orleans-style parade through the crowd, which often included Frank Sinatra, Dean Martin, and other luminaries.